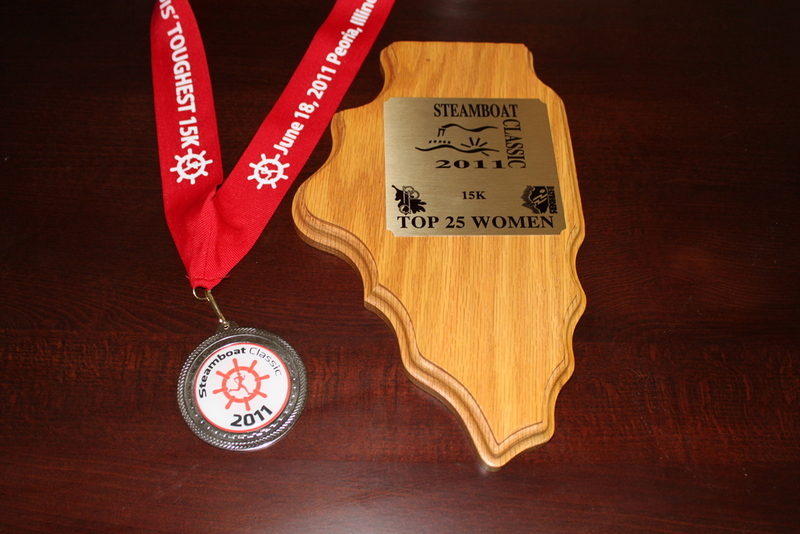 Today was the Steamboat Classic in Peoria, IL. 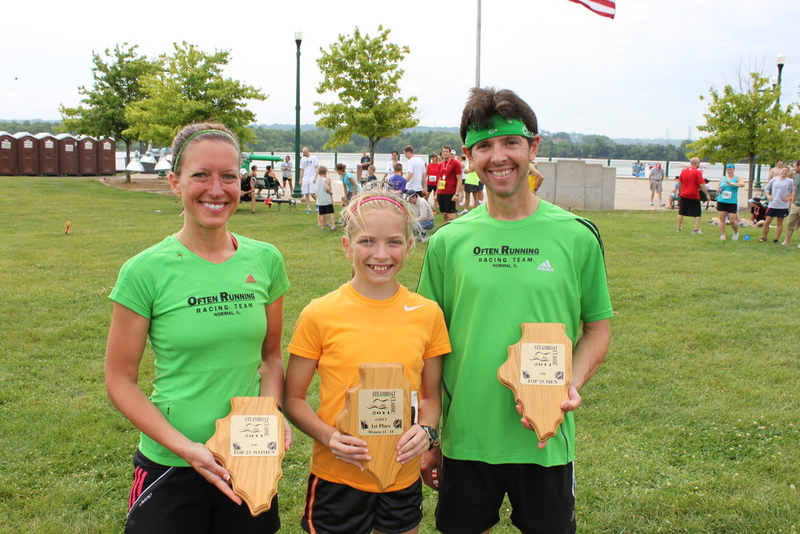 This race offers a world record class 4 Mile and the toughest 15K in the mid-west. We took the longer and more painful option. There are not a ton of 15Ks in this area, so it’s a chance to run the longer distance and get in a great hill workout! We were off and all felt well, even up and around the steep hills, the first time around. Second lap around the steep hills into the park and my legs were toasted. I definitely need more strength and hill workouts. Still it was a great time to get out and race! Me with part of ORRT group. 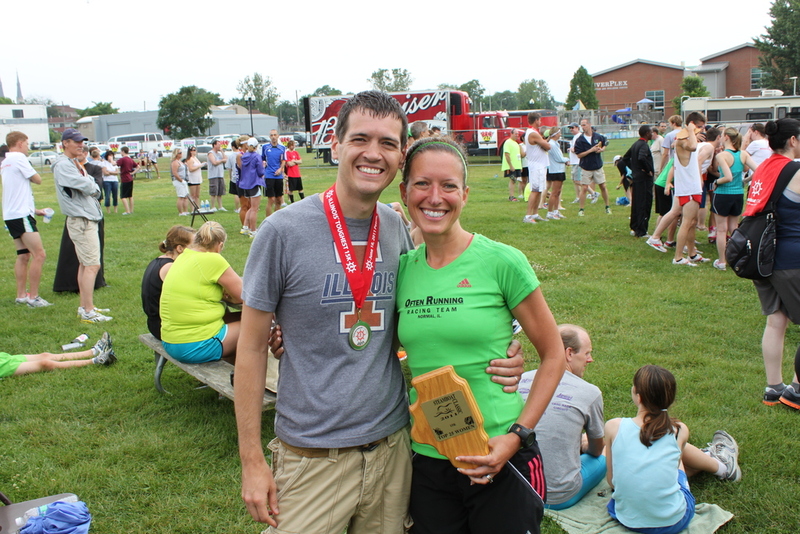 I finished in 1:10:21, not a PR, but 18th place female overall. 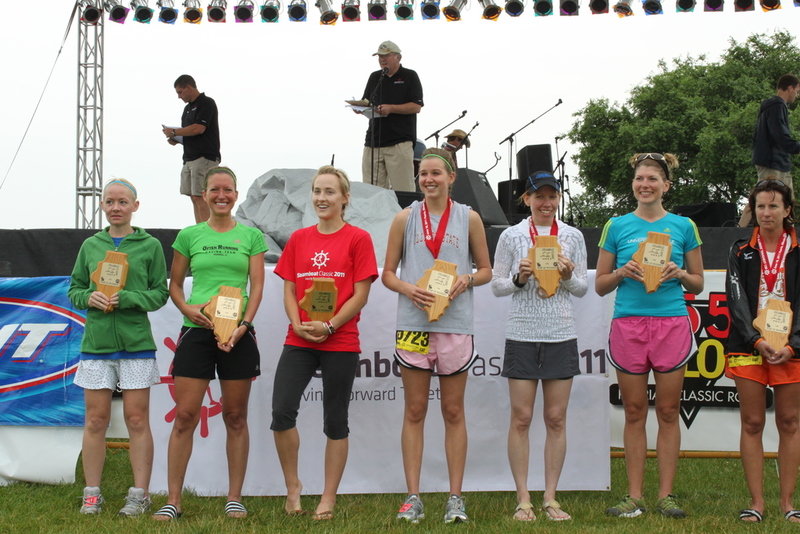 The top 25 men and women for each race are recognized with an award. Everyone did great! Rob finished in 1:05:25! This was Drew’s first time doing the 15K with a 1:24:00! Me and Mike (fellow ORRT) and a girl he coaches. The 15K finisher’s medal and my award. Great job! 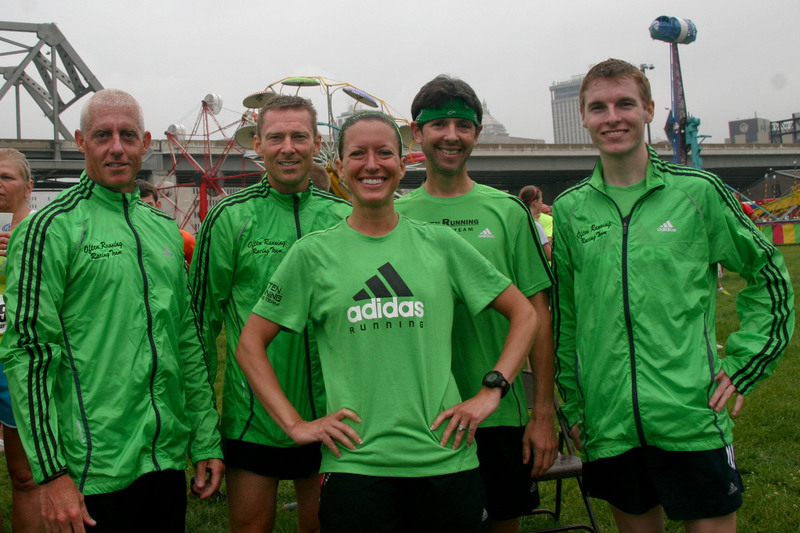 15K sounds like a fun distance to run! Curious, is your stomach better? You didn’t mention issues…. 🙂 Great race! I love the 15K and wish there were more of those around here. great job to you, rob & drew! Nice work on those hills. They were tough. Great job with 18th place too! I REALLY, really love that first pic- you and all those other ladies. I was automatically drawn to looking at everyone’s legs and it’s really beautiful (to me) how different all of you winners are- just looking at the different bodies and body types- all healthy, all beautiful, all WINNERS! Nice race! You rocked those hills!! I tried to keep up with you, but you smoked me!! !